Ar tonelico Qoga, the final installment of the Ar tonelico series takes place in Sol Cluster, a kingdom ruled by the mysterious Clustania organization. 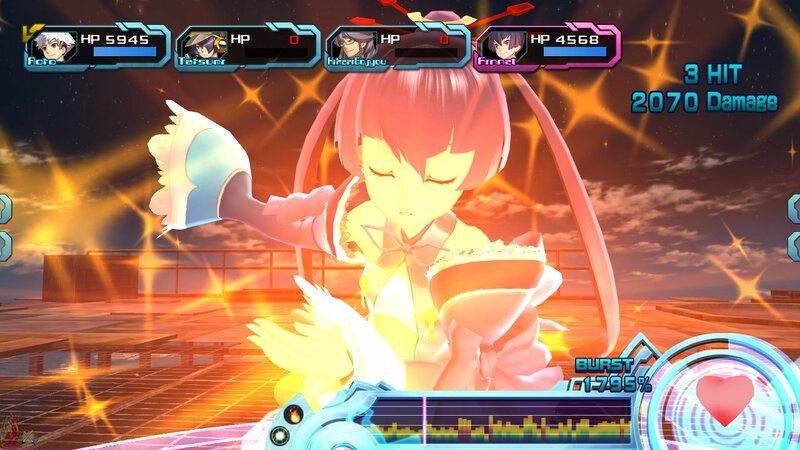 Join Aoto, Saki, and Finnel as they fight to save the world from enslavement of the human race. 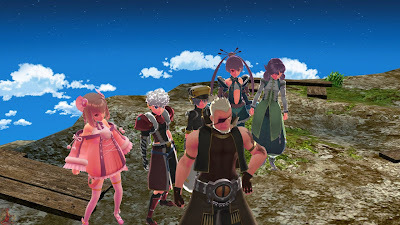 Ar Tonelico Qoga is a great ending to one of the most underrated games in the past several years. While the graphics transition to 3D was a welcomed change it does take quite a while to adjust to. Get ready to see plenty of familiar faces if you have played through the two other games in this series, which should be mandatory all over the planet. The Cosmospheres have returned, though there is a twist where instead of different costumes you get different personas. The overall story was well rounded and the endings suited the series perfectly and being an avid fan I am sad to see this series go. You’ll have plenty of hours pumped into this game especially if you want to get every single ending unlocked. 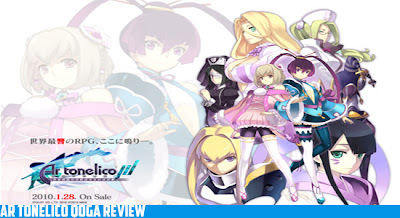 The characters are very unique and just add to the cast of characters that already exist inside the Ar Tonelico universe. Once again the combat has been changed from previous titles to a more hero centric gameplay where the CPU plays your other allies and you focus on an individual of your choice. Lastly the emotional ties between your characters, especially towards the end of the game are an incredible thing to experience, especially after all the “Diving” and dialogue reading. While Ar Tonelico Qoga may be a great end title, it still brings plenty of problems to the series. Obviously if you disliked the other titles in the series this game will not bring you back. There are still plenty of awkward sexual references and plenty of really young looking females. The newer issues consist of the 3D and the lack of variety in every aspect of the game. Initially you are given a choice of difficulty, but regardless after 30 minutes in game it will no longer matter because it is terribly simple. Graphically the characters models look great, but the fights look so barren no matter what part is being played in game. The menu options are bare and practically nonexistent, and with all of the cool looking weapons it would have been nice to see them put into the actual gameplay. You can easily grind out levels making the entire game a joke and there is no requirement for you to “Dive” in the Cosmosphere and progress the characters story. It was just greatly disappointing to see the bare minimum put into the last title in an amazing series of storytelling and lovers. There is a lot to love about this series other than half naked girls/women, but I doubt many will be able to see past that. Though this wasn’t the best game in the series it certainly does present a couple great endings to the series and is definitely worth playing if you’re a fan. Newcomers will have a tough time understanding the entire story without playing the older games so it is suggested you either play them or read up a bit on the backstory. Ar Tonelico Qoga will never be the best game from the franchise, but it ties things up so nicely that you can almost look past all the flaws.